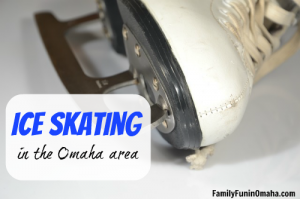 Experience ice skating in the comfort of the indoors. Grover Ice will be celebrating the spirit of the season with plenty of holiday music and cheer. Play classic and new board games, the Wii and library computers. All ages welcome. See many more events listed here! (Park Entry Permit required.) Due to the forecasted cold weather, it is a good idea to verify if events are still going on before attending. 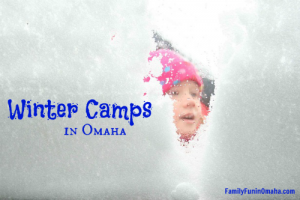 Hands-on educational activities where participants will learn about winter bird species, partake in kid-friendly crafts and games, and then join in on a birdwatching hike. Make sure to bring water, snacks, binoculars, hiking boots, and warm clothes for the hike. 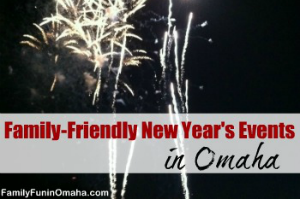 Eugene T. Mahoney State Park, Fremont State Recreation Area, Platte River State Park – Celebrate the first day of 2018 with a guided hike through some of Nebraska’s most beautiful landscapes. Hike difficulty varies. See calendar for details. In addition to the newest exhibit in the building, “Working on the Railroad,” having an O-scale model train built into the exhibit, Holiday model trains will be available during open museum hours, Thursday-Saturday 10 – 4 p.m. beginning on December 16 and ending on December 30. Location: Union Pacific Museum, 200 Pearl St., Council Bluffs, Iowa. The center closes at 3 p.m. on New Year’s Eve. 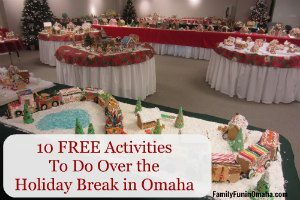 Find more FREE Things to Do Over Break! Holiday Train Display, Kids Escape Room, Gingerbread Houses, Science Show, Winter Fun Days, and much more. Find out more here! Mt. 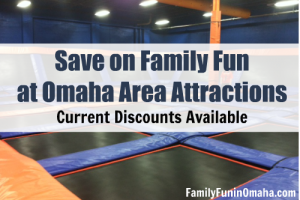 Crescent Ski Area, Great Wolf Lodge in KC, Creation Station, and more. Find these and more here! 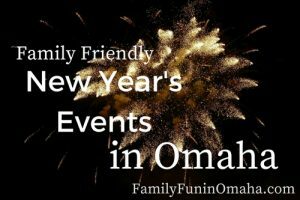 Celebrate the New Year with Fireworks (postponed until 7 p.m. on Saturday, January 6th), Balloon Drops, Dance Parties, and more at a variety of events in the Omaha Area. Find out more here! 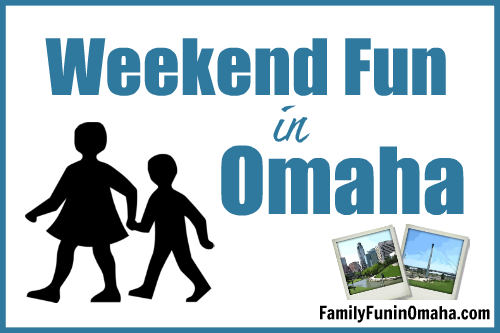 Special thanks to the Omaha Children’s Museum for bringing you this guide. Tickets are now available for their exciting New Year’s Eve Bash on Sunday, December 31st.